Today let us find out the week 4 pregnancy signs and symptoms after studying about the first 3 months. First of all accept my congratulations that a month of pregnancy is over even before you realised it. Most pregnant women will not even know that they are pregnant in this week. However, if you are planning a pregnancy then this is the week you will be waiting for anxiously. This is the week where in you can do your urine test at home and confirm if you are actually pregnant. The home pregnancy kits will check the level of hormone in your body and tell you if you are pregnant. Even a faint line can mean pregnancy. If you get a positive result then you must consult the doctor immediately. If you are not planning a pregnancy and your periods are regular. Missing periods for over a week may be a sign of pregnancy and you must try the home urine test. Some women often have a doubt that if the home pregnancy tests are accurate. These tests are absolutely reliable and most of the time they give the correct results. This is possible only when you take the tests as per the instruction mentioned in the kit. Let’s move on to what your little baby is up to this week and what exactly it looks like. This is the week when the fertilised egg is turning into an embryo. This is the time when the organs will start forming. Most of the organs are in place in the first three months of pregnancy itself. The size of the baby is that of a poppy seed. It may be too early for an ultrasound scan. You will mostly have to do your first scan in the fifth week of pregnancy. The baby has two layers now. One is the hypoblast and the other is the epiblast. These will form the organs and the other parts of the baby’s body in the due course of time. The placenta is formed but it is in a very primitive form. The cells of the placenta are slowly making their way into the walls of the uterus. This will allow the placenta to become bigger in : Cops Pull justin bieber baby music video Over . size in the months to come. This is the placenta that will send oxygen and all the required nutrients to the growing baby. 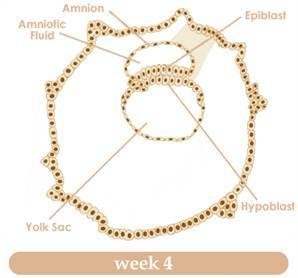 By the end of the fourth week and the beginning of the fifth week the placenta will start to function. The neural casino tube will be the upper part of the embryo that will become the brain, spinal cord and backbone in the months to come. You will also see nerves growing in this layer soon. In the middle of the layer the heart and the circulatory system starts to develop. The third or the last layer will form other organs like intestines, lungs and the urinary system. It is indeed a miracle how life forms and grows in the womb. It is wonderful to know that so much of information is sent into the embryo and each organ is formed step by step. The miracle of life indeed makes us believe in God or the Almighty whatever you like to call it. Medical science will tell you that they still do not have the mechanism to create life in its early stages. This is why we say that you must keep your prayers on and pray to God for a healthy baby. It is God alone who can ensure that a life is born. Apart from all the above developments the amniotic sac that is going to be the home of the baby is all ready now. It is filled with the amniotic fluid that provides all the cushioning that the growing baby needs. There is present a Chapter 6: Examining the Cloud and Big best-data-recovery.com . yolk sac now which will be producing the red blood cells for the baby. However, in the coming few weeks the yolk sac will disappear and the placenta will eventually start making its own red casino spiele blood cells. The umbilical cord is also in place. So you can imagine that so much is happening inside your body and a new life is rapidly growing. This is exactly why your appetite will show a sudden increase and your food intake will be on a rise. It is only expected to go up in the months to come. Well food means nutritional food and not junk. As far as possible eat healthy things and food that is made at home. As a mother you will definitely start noticing some changes in your body and first signs of pregnancy will become more and stronger now. If you are not taking any medication you must consult the doctor and start with folic acid and multi vitamins at this stage. If you are already under fertility treatment then you must continue with the medicines that were prescribed to you. You must consult the doctor as soon as the pregnancy tests comes positive so that she can suggest you new medicines that may include hormones that will help you to sustain the pregnancy. You can also use the due date calculator tool that is available online. All you need to input is the last date of your periods and it will tell you exactly how many weeks pregnant you are and by when can you expect to deliver your little bundle of joy. You will notice in this week that you feel tired and sleepy most of the time. This is mainly because a life is forming inside you and it is using up most of your energy. You must ensure that you sleep for at least ten hours a day to ensure that the pregnancy develops well. The points of precaution that we have already mentioned in our article on week one and two of pregnancy must be followed. You must take a lot of water. The food you eat must have high iron and protein. If you feel really tired you can try to have glucose water as that will give you instant energy. This article on week four of pregnancy will definitely help you to get a better idea of how to deal with your pregnancy. Inisha Barua - A young mom who enjoys her role as a parent and loves to pen down what ever her beautiful daughter has to teach her.